Hello and welcome to the AGREATDREAM website. My name is Glen Charles Rowell and I am the owner of the Sapporo Eikaiwa AGREATDREAM language school. 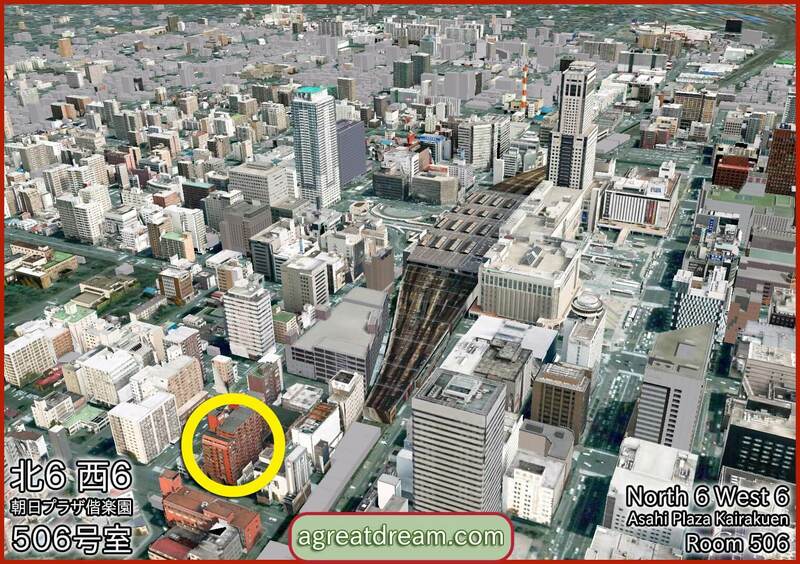 This language school is only 430 meters from the center of the Sapporo Station. So it takes 3 to 4 minutes to walk to the school from the Nanboku subway line ticket gate (green line). There is also a long covered walkway leading to the school that is useful on rainy or snowy days. We work to provide the best learning atmosphere and environment for students to study in. In-class practice, online study and blended learning, in context, allows us to adapt to the needs of students quickly. Please send all sample textbooks, catalogues and teaching material, to the address below. Room 506, Asahi Plaza Kairakuen, 2-1, North 6 West 6, North Ward, Sapporo, Hokkaido, Japan 060-0806. Collaboration work with individuals and other companies. Business networking. Also supporting teacher training groups like ETJ-Hokkaido.